A marimba supergroup consisting of some of the most respected musicians from Colombia and Ecuador, Rio Mira’s music is the sonic rejoining of the region known as El Pacífico Sur, one connected by history, ecology and culture and divided by the national borders of Ecuador and Colombia. The people throughout this area have similar music, food, speech, fashion, and background, and it is no coincidence that the band takes its name from the Mira River that flows across these borders, connecting, rather than dividing, people and cultures. 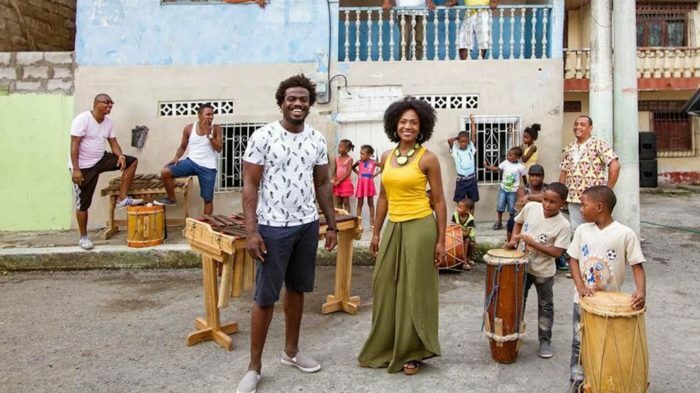 This area is home to a great many people of African descent and the rhythms of Africa have become entwined with the lilt and grooves of Colombia and Ecuador. At its core, Rio Mira is a beguiling celebration of a unique cultural heritage found nowhere else on the planet. This engagement of Rio Mira is funded through Southern Exposure: Performing Arts of Latin America, a program of Mid Atlantic Arts Foundation in partnership with the National Endowment for the Arts.